Helloooo everyone! I can't believe it's October already! 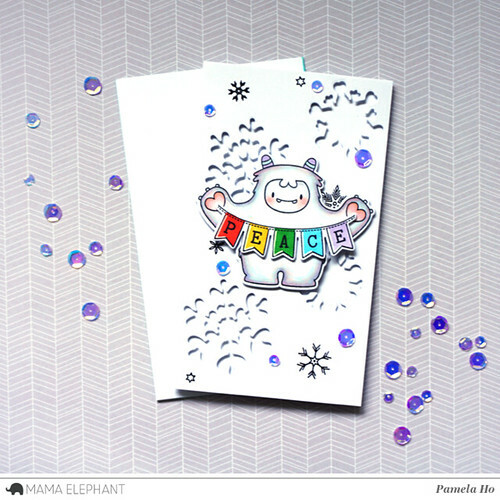 This is Pamela taking over Mama Elephant's blog with a card featuring the new September release! 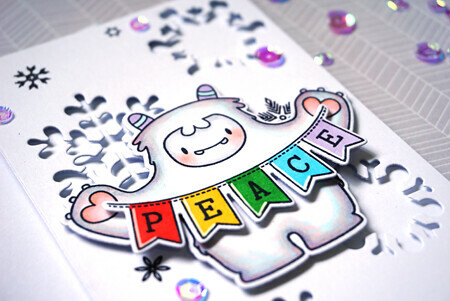 We'll be taking a good look today at 3 release sets - Me and My Yeti, Sentiments from a Yeti and Snow Furries creative cuts. 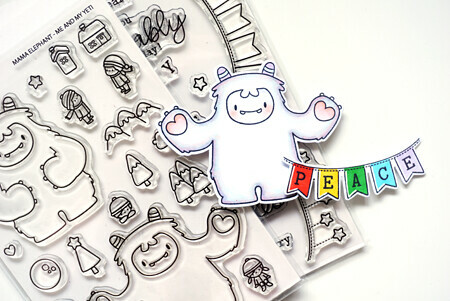 I first stamped out the adorable Yeti and the banner. I coloured those in with my copics and adhered the banner to the Yeti so it looks like he's holding onto the banner. Next, I started on my background. Seeing those snow furries, I really wanted to create a simple die cut panel against the white card base. 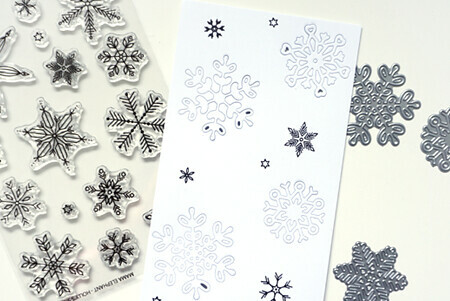 I then stamped a few of the smaller snowflakes from Holly's Snowflakes onto the cardbase. Finished with a dash of sequins and the card is done! A very simple and easy to mass produce card! Cute card.. Love the snowflake dies too.. Great idea for a card. Love the Yeti! Super cute! Thnks for sharing! This is a great card, very simple and efficient ! So cute. I wasn't sure about the yeti but the more I see this cute creature the more I lOVE him.. Great cute scene. I think I need this stamp set. G Club 69 Risk name of known. Casinos are rich with gamblers around the world.